Don’t burn bridges. It may be easy to “vent” about your unhappy situation to co-workers either in or out of the office, but fight the urge and try to be gracious. Even though your bad boss might come off poorly to others as well, that’s no excuse to unload. Bottom line, your boss is still above you and may be able to affect on your career. Instead, did you learn anything valuable from dealing with your boss? Were there any times you thought your boss was wrong but turned out to be right? 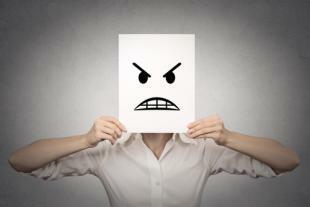 Even though their behavior is no excuse, keep good career momentum by maintaining a positive face. Chances are, people will notice your hard work to to stay positive while overcoming your boss’s behavior. You also never know if you’ll run into your boss later in your career. Use objective measures and document your work. Even if your boss isn’t happy, good work is good work. Keep track of your accomplishments and compliments from other coworkers or managers and make sure to record the date of these instances. Make sure to document what problem existed and what your role was in a solution. When documenting these items, try to use objective measurements so you can refer back to them later. If you ever need to confront your boss, you’ll have specific data with objective measures. Keep your network active, analyze the situation, and cope with a little humor. A little laughter can help you deal with an unpleasant situation. Whether it’s a daily meme or cuddling the office pet, keep your spirits up. Meanwhile, take some time to analyze why your boss is ineffective and makes you or other employees feel uncomfortable. Even if nothing immediate comes from your analysis, this can help inform you later about how to be a better boss since you’ll know what not to do. Also, maintain your connections in the office and in other networks to stay visible in case you decide to move on. No matter your situation, these simple hacks may have a profound effect on your work experience and attitude. OpenSesame offers many courses to help managers perform better and recognize their mistakes including Giving and Receiving Feedback at Work and Mistakes Leaders Make. You can also learn a little resilience with Resilience: How to Keep Going When the Going Gets Tough. If you’re dealing with boss, take a moment to sit back, relax, and realize that there’s many ways out.